During the ‘present’ of the novel, Lucas has just learned of his father's death, and although Blame does not exude a suspense-driven plot, a vague allusion to the suspicious circumstance of his father’s death spawns a subtle yet nagging curiosity. Read balances this unassuming tension with further sources of mystery. Why is it that Lucas has stopped drinking? And what is it that makes the re-reading of his childhood diary so difficult? That’s not to mention the implication of a possible car crash, dropped into the prologue. Read pens the novel in a fairly stylised voice, and although it takes a chapter or two to sit comfortably within Lucas’s thoughts, Read’s style does well to convey his growingly disjointed existence without jarring the narrative flow. During the early chapters, it is a challenge to gel with Lucas, who seems insufferably egotistical and nonchalant, and you begin to wonder how you will ever be able to connect with a protagonist who keeps the scraps of his empathy at arm’s length. But as you come to learn more about Lucas and his past, you begin to forgive his initial frostiness, one grating remark at a time. Long extracts from Lucas’s childhood diary offer one such way into his psyche, and Read’s effective reconstruction of a young child’s voice is the perfect mixture of naïve honesty and astute awareness. 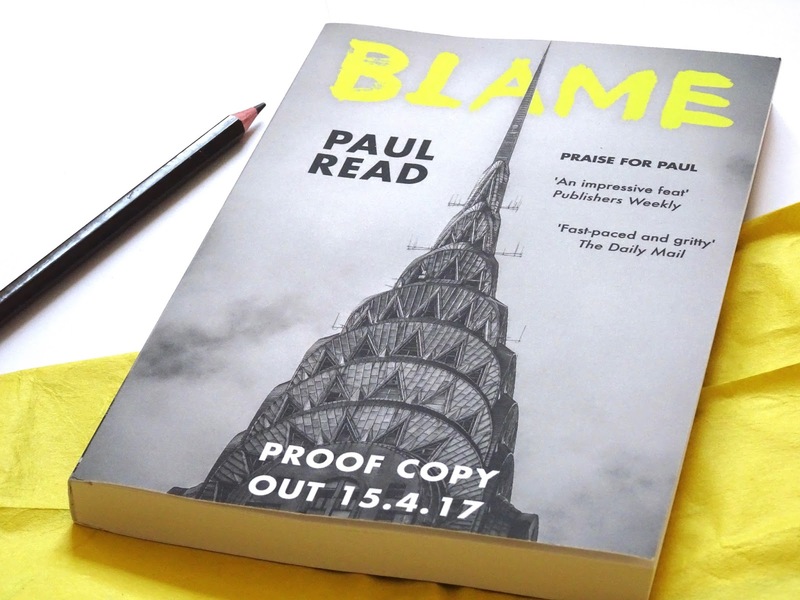 Despite the many fractured circumstances and individuals that make up the novel, Paul Read’s Blame is skilfully paced up to the closing pages, with a neat epilogue that gathers up untied ends, without seeming too forced, predictable or finite.